Formula 1 remain "very hopeful" of agreeing a new deal for the British GP at Silverstone but also admit a race in London would be an "ideal circumstance". Silverstone enters the final year of its current F1 deal in 2019 after activating a break clause due to increasing costs and no agreement has yet been reached on a revised contract from 2020. Next year's British GP takes place on July 14. Sean Bratches, F1's managing director of commercial operations, says both sides want to make a new deal happen. "We are very hopeful," Bratches told Sky Sports News. "There has not been a lot of change in terms of the last time we spoke. "We are having discussions and conversations around the business terms and both genuinely trying to get a deal done. "Silverstone - it speaks for itself - it's an extraordinary brand. It's the home of the first Grand Prix." While Silverstone is the British circuit most-closely associated with F1, staging 52 grands prix in total including every one since 1987, and the only permanent UK circuit currently considered viable for the sport, a race in London has long been mooted as a 'dream' alternative or additional venue for a race. Asked if there were any ongoing talks with London, Bratches said: "We are having conversations with the mayor's office and conversations with cities around the world. "Certainly if there was an opportunity in London for us to race in the great streets here this would be an ideal circumstance - both for London and for Formula 1 fans around the world." London mayor Sadiq Khan told Sky Sports at last year's F1 Live demonstration event in Trafalgar Square that he would be open to discussing the idea of a race with the sport's officials. 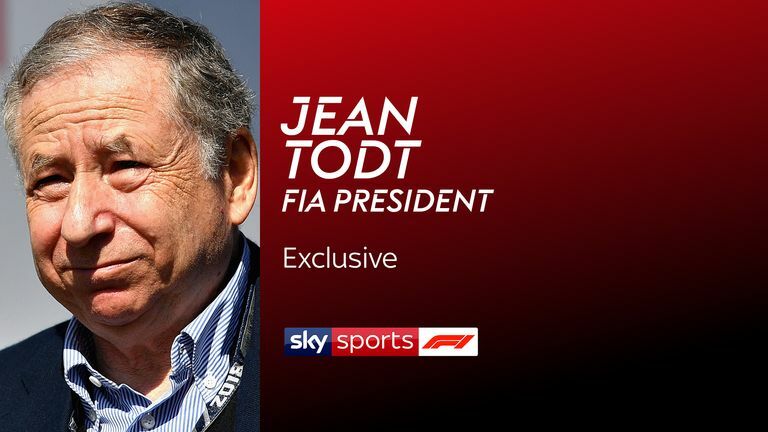 Watch the extended version of Craig Slater's exclusive interview with FIA President Jean Todt. Meanwhile, FIA president Jean Todt has also expressed hope that the British GP will remain on the calendar into the next decade. "I am always surprised because I see so much negativity, I want positivity and the British Grand Prix is part of the history of motorsport. So I am very optimistic about that," said Todt. "You have an amazing passion for motorsport in the UK, you have the tradition. You have a lot of great events so we should be very optimistic - but still there are points to address and all that needs to be addressed should be addressed."